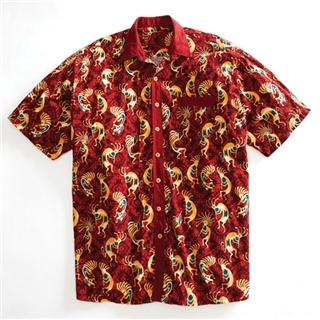 This shirt is meant to capture the mental landscape and mystery of the Southwest. This shirt is meant to invoke images of red rock mesas and cactus. There is something truly memorable and magical about the Arizona desert. The wooden buttons complete the rustic and rural motif of this shirt. Something like this shirt will possibly make it into production.